Description: Antique White Schoolhouse glass reflects an authentic classic design, a perfectly formed shade that was handcrafted with rich artisanship and style. 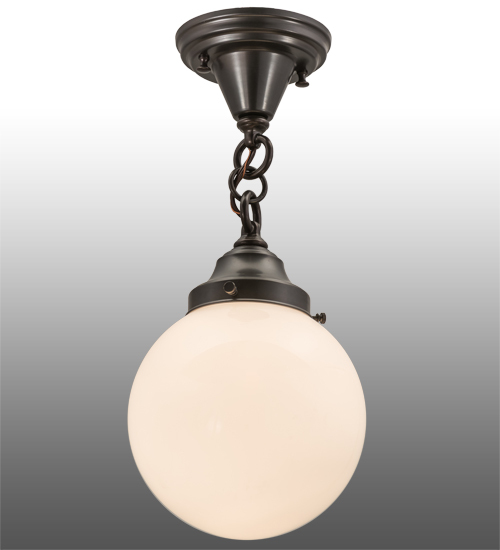 Originally used in private residences, schools, galleries and libraries, this Schoolhouse electrical reproduction pendant is cord hung and will illuminate a broad range of interiors today. The pendant is enhanced with hardware finished in a warm Craftsman Brown. The fixture is custom crafted in Upstate New York. Custom styles, colors, sizes and dimmable energy efficient lamping options are offered. The fixture is UL and cUL listed for damp and dry locations.